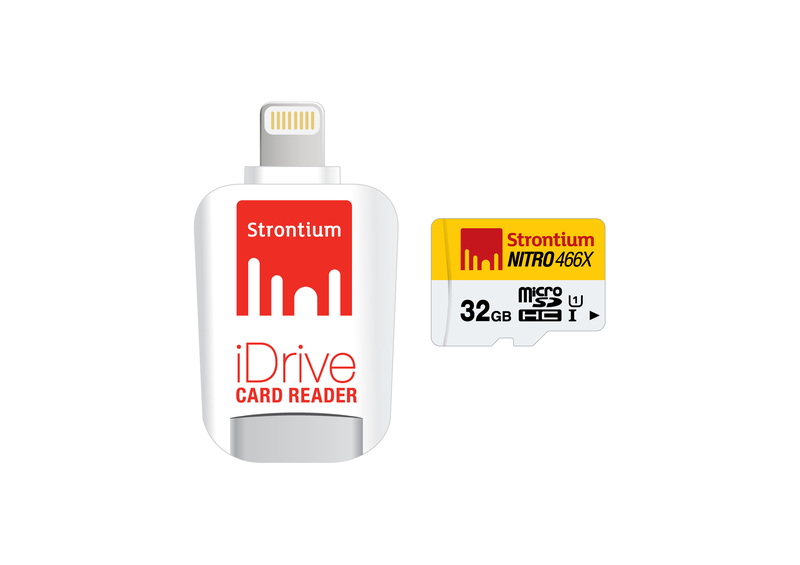 Strontium offers multiple storage solutions specifically suited to use in iOS devices* such as iPhones and iPads. 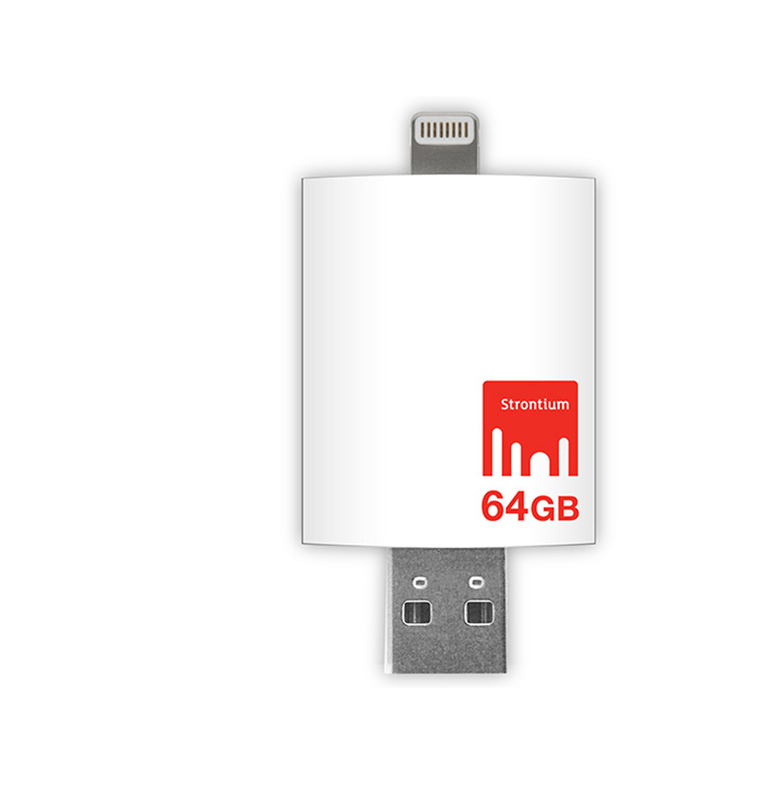 The iDrive USB 3.0 facilitates data storage and high-speed transfer between Apple devices*. The iPhone OTG is designed for easy operations and enabled with Plug-and-play functionality which doesn’t require any software installation. Strontium iPhone OTG drives are designed in a shock-resistant manner with an attractive and edgy design. Strontium iDrive USB 3.0 comes with a variant of memory capacities such as 16GB, 32GB, 64GB & 128 GB with direct playback of videos and songs on supported iOS models. 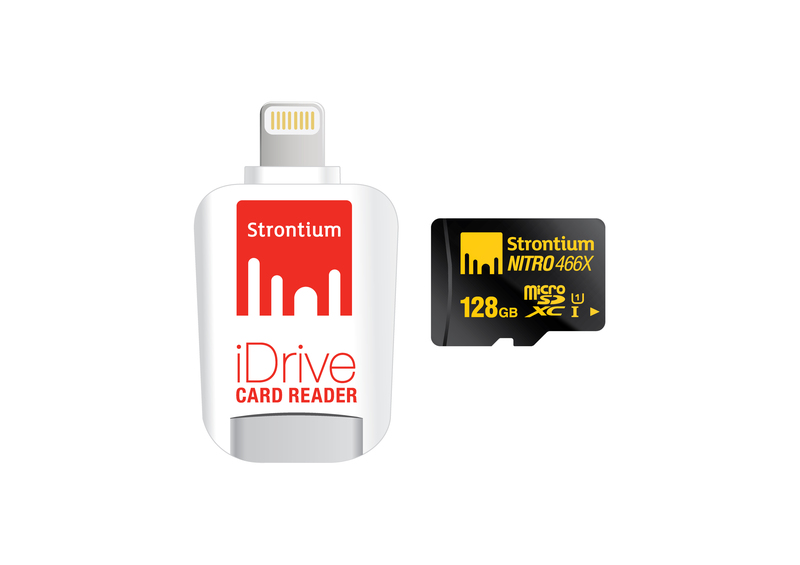 Strontium offers the Nitro iDrive card reader with a free app for auto file management and security, that comes with 32GB, 64GB, and 128 GB capacities. The iDrive card offers lightning speed on data storage and lightning transfer between iPhone, iPad, and iPod through micro SD. The iDrive Card reader is equipped with a lightning connector which enables seamless downloads of data and files to and from your latest iPhone with extremely faster transfer on-the-go (OTG). iDrive Card Reader with Lightning can be your next expanded storage solution up to 128GB with just a simple plug in and go without the hassles of any bulky USB cable.